I’m so excited to share my pork meatballs with you today. They are keto, gluten free and are made with less than 10 simple but delicious ingredients. Whenever I am in Stuart for the weekend (which is my where my main house is but we have a second house in my hometown of Lakeland), I visit the green market on Sunday mornings. One of my favorite vendors is Okeechobee Farms because they have locally source pastured raised meats. They also have the best kimchi (made by them) that I’ve ever had. It’s spicy and crunchy and I love it so much. I eat it straight from the jar but I also put it on eggs and eat it with rice and sardines. I made these meatballs with locally sourced and pastured pork. I highly recommend using this type of pork if your budget allows it. Happy, healthy pigs result in better tasting and more nutrient dense meat. If you cannot afford pastured pork, ground pork from your local supermarket will work too. The pork meatballs are gluten free, keto and egg free. 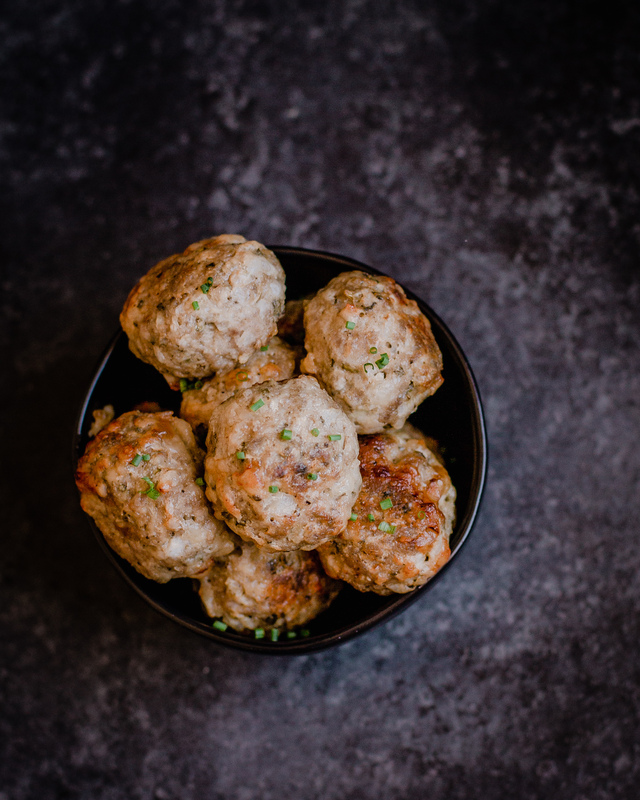 Simple ingredients that you may already have in your pantry are used to make these meatballs. Among the ingredients used are apple cider vinegar (trust me it adds good flavor), fresh herbs and sharp cheddar cheese. If you avoid dairy you can leave out the cheese. I’ve made them without the cheese and they turn out fine. Just a note – the cheese gives the meatballs more flavor. 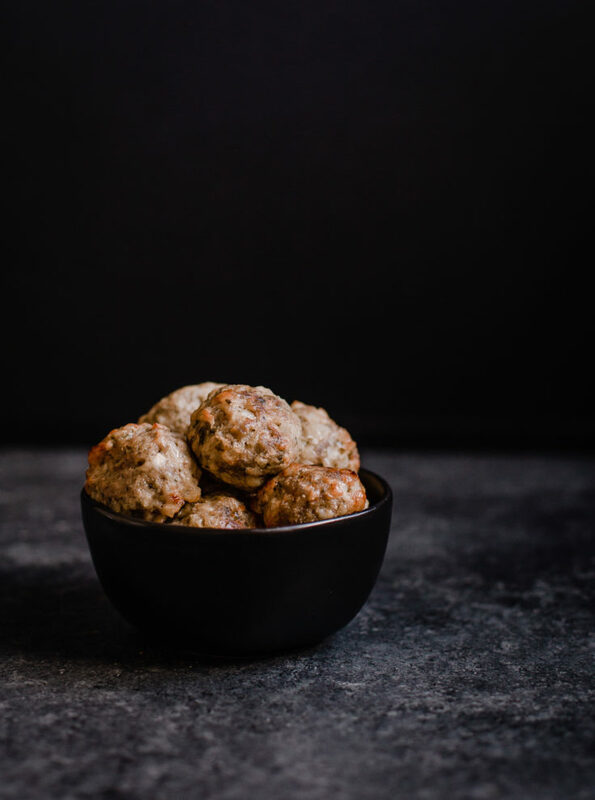 These Pork Meatballs make a great keto and low carb appetizer option for football games and it just so happens that the biggest game of the year is this weekend. I’ve got you covered when it comes to healthier recipes. 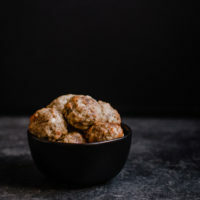 Homemade pork meatballs are keto, gluten free and are made with less than 10 simple but delicious ingredients. Mix all of the ingredients together in a large mixing bowl. Place the meatballs on a parchment lined baking sheet. 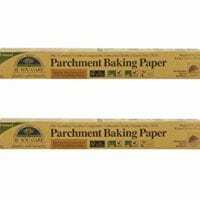 Bake for 30-40 minutes or until cooked through (160F is USDA recommended for safety). 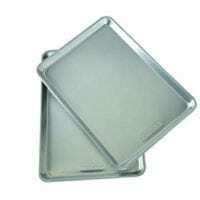 Flip halfway through baking. Shaping the meatballs: I put a plate on my food scale and weigh out 2 oz portions of mixture. Each portion isn't exactly 2 ounces cause I am not a perfectionist. My meatballs weight between 1.94 and 2.05 ounces each. After weighing out the portions, roll into meatballs.